My comment on deseretnews.com Suicide article … Reading the comments I am encouraged after 30 years of researching, writing, & working as an expert in criminal & wrongful death cases involving antidepressants!!! I spent many years trying to wake Utah up to the horrible mistake in the hypothesis behind these drugs, even working closely for many years with the doctor whose research made these drugs possible. Oxygen deprivation does cause depression but the elevated serotonin constricting the bronchial tubes & producing sleep apnea deprives the antidepressant user of more oxygen than the altitude!! Utah’s oxygen deprivation is the result of being buried in BS on serotonin!! Utah has long led the way in the use of antidepressants. In fact, according to Forbes Christian women are the highest users of antidepressants with LDS women leading the way. 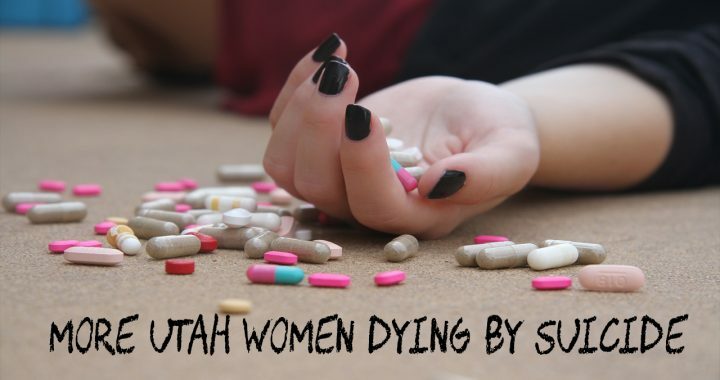 A previous article on the altitude/depression connection stated that 1/4 of the women in Utah are on antidepressants. Court testimony by Pharma’s own expert, after studying serotonin for decades, indicates that what should be expected from the antidepressant effect on serotonin is impulsive murder or suicide! So there should be no surprise by the increased suicide. This is an EXCELLENT piece on healing foods. Interestingly these are the same foods I turned to 45 years ago to overcome the cancer that ravaged my body & threatened my life. What surprised me was to see the amazing clarity of mind I saw almost immediately. Obviously it helped me overcome the cancer since I am still here & have felt no need to see a doctor for any reason since that time. But it has also given me insight into healing from the damage caused by the use of these deadly drugs we call antidepressants. If Johnathan Otto introducing this video understood more about antidepressants & benzodiazepines he would not try to make this an easier change in diet by allowing those damaged by these drugs to fudge on the strictness required for healing. If he understood the highly protein binding (98%) aspect of these drugs he would understand that to flush these drugs from the this strict change is required. I am especially concerned about the Lewy Body’s Dementia (large clumps of protein building up in the brain) suffered by Robin Williams on these drugs & the close connection of Lewy Body’s Dementia to the most deadly REM Sleep Disorder (RBD) when 86% of those being diagnosed with RBD are on antidepressants. 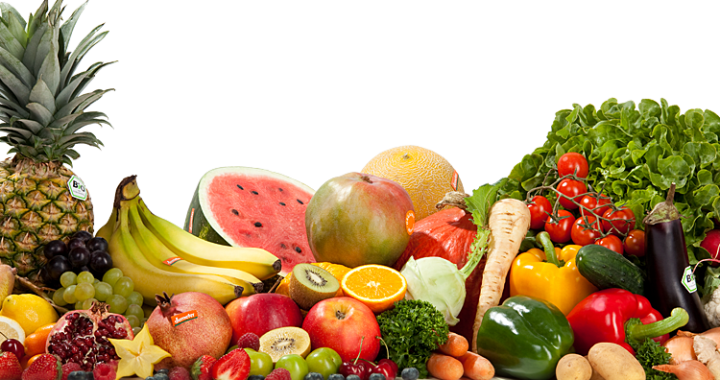 Until we have the answer to the following questions I believe it is best to stay on the side of caution & follow the wisdom shared about the diet shared by the following experts. 1. Does the high protein binding aspect of these drugs known to accumulate at a very high rate in brain tissue produce these large clumps of protein to build up in brain tissue? 2. And does this protein binding aspect of these drugs prevent the drugs from being flushed from the body & brain? 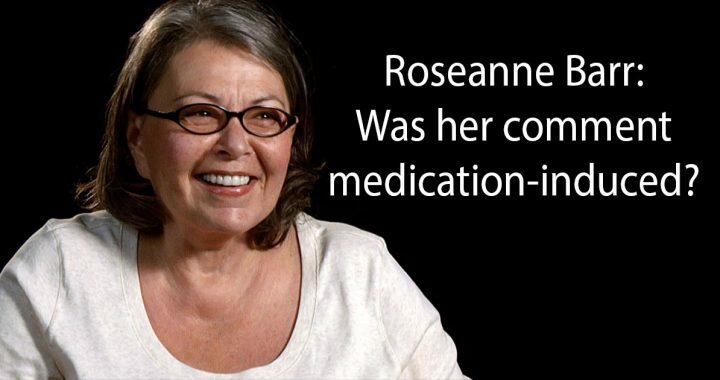 Roseanne Barr: Was her comment medication-induced? She then went on Oprah with her mother to apologize & state publicly that it was all caused by the drugs & the biggest mistake she has ever made in her life. Sadly her father had already passed away before she got off all her meds. He knew from my book, Prozac: Panacea or Pandora? – Our Serotonin Nightmare!, that it was all being caused by the drugs, but he still never got to see their “Real Rosanne,” as they called her, once again before he died.  It was really hard on him & it would not surprise me to learn it contributed to his death because they had been such a close knit family BEFORE these drugs entered their world. What most do not know about Roseanne is that when she was only 16 she was hit by a car & the hood ornament was actually embedded in her forhead. Someone who has had a head injury, especially one as serious as that, should never, ever, ever, ever be given one of these drugs! They seem guaranteed to have the very worst side effects! Remember her grabbing her crotch while singing national anthem and calling it a “Prozac moment”? But obviously she needs to be warned about not being able to take other mind-altering drugs after the serious reactions she had to antidepressants! And that would certainly include Ambien which is so notorious for also causing the REM Sleep Disorder, even though antidepressants are the very worst for causing this very deadly sleep , long known to induce both murder and suicide, where the patient acts out nightmares in a dream state! Leave it to USA Today! All anyone needs to do is read the .medication side effects of argumentative behaviour and impaired judgement to see a connection! And I would strongly urge you to keep in mind that this is the same newspaper who apparently had no problems in taking some big advertising contract or obviously receiving compensation in some way for running a big feature article on the 10th anniversary Columbine titled “The Myths of Columbine” Of course the leading “myth” of Columbine was that Eric and Dylan, the shooters, were taking anti-depressants! Of course the change was never made and was allowed to remain in the paper so that a week later it went out in there nation-wide Edition leading the country to believe bad indeed Eric and Dylan were not taking antidepressants at the time they shot up Columbine! This is how Pharma rewrites history for us all! You now find people all the time who believe it is not true that Eric and Dylan were medicated at the time of that most notorious of all school shootings! And that is why I never pay any attention to one word that comes from USA Today! 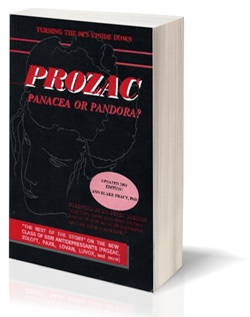 Author: Prozac: Panacea or Pandora? – Our Serotonin Nightmare! 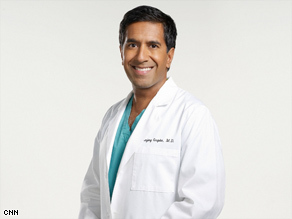 Dr. Sanjay Gupta is an American neurosurgeon who serves as associate chief of neurosurgery at Grady Memorial Hospital in Atlanta, Georgia and as assistant professor of neurosurgery at the Emory University School of Medicine. He is also a media personality on health-related issues, and best known as CNN’s multiple Emmy Award-winning chief medical correspondent, hosting the network’s weekend health program Sanjay Gupta, M.D., and makes frequent appearances. Dr. Gupta as a neurologist and a professor of neurosurgery certainly would understand more about the brain & brain function than most doctors would. With that in mind LISTEN now as Dr. Sanjay Gupta speaks out about the connection between school shootings and antidepressants after the Sandy Hook school shooting…. Because so many are posting our database of cases of school shootings on Facebook with no explanation of the antidepressant connection, I thought I should post it here on our website as a blog so that it is easier to share with others especially with this latest school shooting in Florida and when yet another school violence episode erupts so they too will have this information to share and educate others about the involvement of antidepressants in school shootings. My Response: THIS IS NOT A GUN ISSUE AND IT IS NOT A MENTAL HEALTH ISSUE! IT IS A DRUG ISSUE – PRESCRIPTION DRUG ISSUE!!! I have worked these cases as an expert for three decades and the common denominator in them all is the use of an antidepressant – drugs that work very similarly to PCP! PCP & LSD produce hallucinations by mimicking serotonin. And how do antidepressants work? They are designed to gradually increase serotonin so you get a gradual emerging of hallucinations or psychosis. In that way it appears that the patient is going crazy rather than the drug producing the effect thereby distancing the cause and effect and avoiding personal injury lawsuits. Creative? It sure was! Thankfully if we can get them into court we have been able to show the evidence clearly with even their own experts testifying that what we should expect from the way these drugs act upon the brain is impulsive murder and suicide! The science is clear as a bell! But no one is hearing that because there is too much money being made on these drugs. “The symptoms I see in patients who use/abuse serotonergic drugs of any form…could aptly be described as the “Hitler syndrome” (over-confidence in one’s own policies or decisions, no fear of consequences, criminal behavior, death of people close to the abuser as the preferred method of solving problems in the abuser’s life, coldness and lack of humanity). I feel that in twenty years or less we will be confronted not with one Hitler but with thousands or millions… numbers so great that we will be forced to interact with their distorted thinking on a daily basis. (Littleton, CO., Riverton,KS., Jonesboro, AR., eventually little Hitlers in every town in America will grow up into BIG HITLERS) It is happening right now. The most insidious factor about long-term serotonin abuse is that it enhances the individual’s persona to the point that they are able to manipulate others into their way of thinking just as Hitler did. This causes the distorted thinking, abnormal behavior, and loss of morality to spread like a contagion to otherwise normal people who have not even been exposed to the drugs. Those on the drugs are converted by the pharmacologic/physiologic processes into sociopathic demagogues. My answer: No! They come from their local doctor’s office after they have been given drugs very similar in action to a slow fuse version of PCP (Angel Dust) or LSD. to Answer the Question, WHY? If you watch the video below of the only school shooter to ever speak out about what happened to him while his father sits with him supporting him, you will see no broken home, no previous problems with behavior. This was a wonderful family on a farm in western Washington state with a shy 16 year old boy preparing to finish his Eagle Scout soon and then leave on a two year mission for the LDS Church. His shyness was the reason a doctor prescribed Paxil for him. It is not mental illness. It is not guns, but rather drugs we are calling “medications” which have suicidal and homicidal ideation listed as side effects! And I make that statement after being called as a court expert on these shootings since 1992 and spending 25 years tracking and documenting the shootings. This is the only possible cause that actually admits it can cause this. A gun does not start shooting on its own, but these drugs list homicidal ideation and suicidal ideation as a side effect. Ideation is constant ruminating obsessive and compulsive thoughts of killing along with the same thoughts of various methods of killing…thoughts compulsive enough to lead to action! 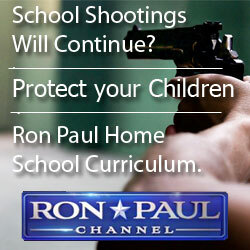 From several of the posts on these school shootings on our main web site at www.drugawareness.org I give you the following evidence to prove it is the drugs! To date no research has been done to show how often this happens in antidepressant withdrawal even though RBD has long been known to be a drug withdrawal state. It should be expected to be far higher in withdrawal and yet we already have 86% involving patients currently taking these drugs. SO WHAT DO WE KNOW ABOUT THIS FLORIDA SHOOTER? …He is currently on suicide watch. …He heard voices telling him what to do in the shooting (hallucinating). …He was adopted along with his brother and it appears he was possibly suffering from Fetal Alcohol Syndrome or had been exposed to drugs in the womb. This was the same scenario with Eric Harris at Columbine. His dose of antidepressant was increased just two months before the shooting even though when first given one of these drugs (Zoloft) within 3 weeks Eric was reporting that he was having homicidal ideation (a listed side effect which is an obsession with killing). So they gave him a different SSRI antidepressant! Why doctors seem to think that they are going to achieve a different outcome if they spell the name of a drug differently even though they work exactly the same is beyond me! “The 19-year-old who is accused of killing 17 people and injuring dozens more when he opened fire on a South Florida high school Wednesday afternoon told investigators that he heard voices in his head, giving him instructions on what to do to conduct the attack, law enforcement sources told ABC News. “The voices were described as “demons” by law enforcement sources. “A relative said Cruz, who was adopted at birth along with his biological younger brother by an older couple, has had a hard few years. His father died when Cruz was much younger and his mother died last year, she said. 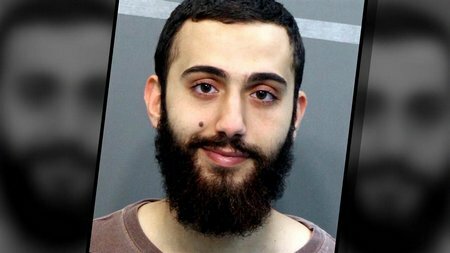 He had obsession with guns, killed small animals, was on medication according to his aunt. “Roger Cruz died over a decade ago and Lynda struggled with the boys, said Barbara Kumbatovich, a former sister-in-law. “She did the best she could. “They were adopted and had some emotional issues,” she said. “Kumbatovich said she believed Nikolas Cruz was on medication to deal with his emotional fragility. 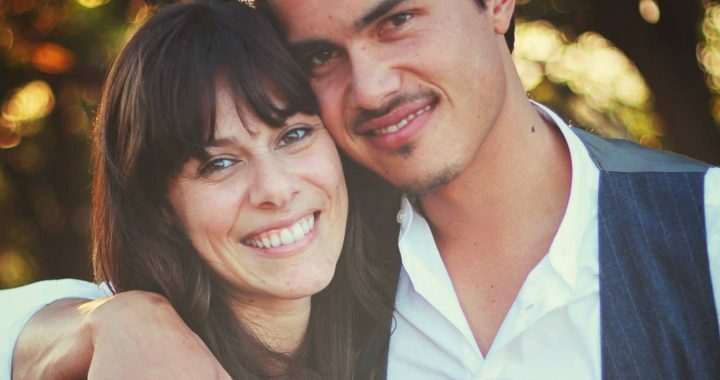 “She was struggling with Nikolas the last couple years,” she said. 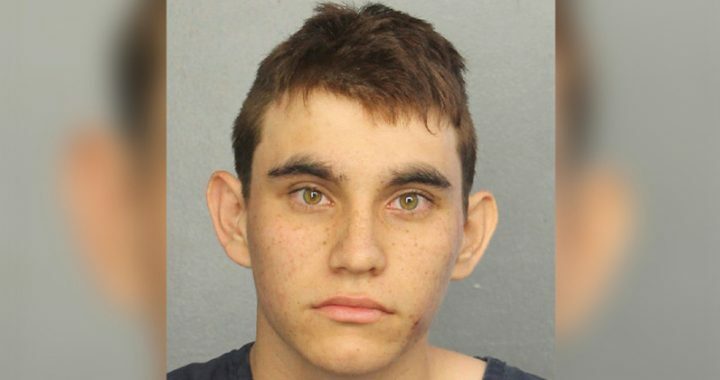 “After his mother died, Cruz moved in with a friend, whose family in Broward took him in and even gave him own bedroom. He worked at a dollar store and went to a school for at-risk youth, said Fort Lauderdale attorney Jim Lewis, who is representing the family. In Episode 5 we’ll look more into how the whole gut-brain connection works and how that can help on the road to recovery. GO HERE TO WATCH EPISODE 5 – WATCH WHILE IT’S LIVE!!! DON’T MISS THIS FREE VIEWING WHILE IT IS LIVE…..
You definitely want to see this one. :-). After you watch, help us spread the word by commenting in the section below the video and sharing. Thanks in advance, and I’ll see you soon. If ANYONE would bother to actually read research (Something I have found EXTREMELY rare among physicians who generally just rely on drug salesmen to share info with them on new drugs!) they would find that the serotonin hypothesis in depression, anxiety, etc. is completely and totally backwards. According to the pre-existing research on serotonin, long before these drugs were ever introduced to the market, serotonin is NOT low in depression, anxiety, ect. But in fact serotonin is actually elevated with all of these. What is low in depression is one’s ability to metabolize serotonin or serotonin reuptake – exactly what antidepressants are designed to impair! This is why they are called Serotonin Reuptake Inhibitors. They inhibit the reuptake (metabolism) of serotonin! They should therefore, CAUSE everything the marketing of these drugs tells us they will cure. And patient experience over the past 30 years since these drugs were introduced proves that to be true! If anyone is interested in reading that research I gathered all of that to include along with the experiences patients were reporting as a result of using these SSRI antidepressants in my book on the SSRIs & SNRIs (which also inludes the new atypical antipsychotic drugs and any others working on serotonin reuptake such as Wellbutrin, Lyrica, Gabapentin, all the Atipycal Antipsychotics, etc.) in my book, “Prozac Panacea or Pandora? Our Serotonin Nightmare!” there are 21 pages in small print of references to medical research in the back of the book to support everything said here. In fact the same material has been successfully used in court cases against these drugs. In fact serotonin is what LSD and PCP mimic in order to produce hallucinations/psychosis so as serotonin increases to higher and higher levels psychosis should be the expected end result along with this long list I shared with the FDA in the testimony below: migraines, hot flashes, pains around the heart, difficulty breathing, a worsening of bronchial complaints, tension and anxiety which appear from out of nowhere, depression, suicide – especially very violent suicide, hostility, violent crime, arson, substance abuse, psychosis, mania, organic brain disease, autism, anorexia, reckless driving, Alzheimer’s, impulsive behavior with no concern for punishment, and argumentative behavior. Warning: Even though this information may be shocking to learn if you or a loved one is on one of these medications, whatever you do NEVER make abrupt changes in the dose of any of these drugs or come off them rapidly!!! If you do so the FDA has now warned those abrupt changes can cause suicide, hostility or psychosis. Sadly most need years to come off safely. You can learn here on our website how and why the brain needs such a gradual withdrawal process. And if you click “store” you can find my hour and a half long MP3 on safe withdrawal for only $4.95 which can be downloaded instantly with more information on serotonin than you will get in any one book I know of except for mine above. 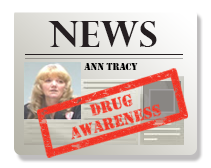 I am Ann Blake-Tracy, head of the International Coalition for Drug Awareness. 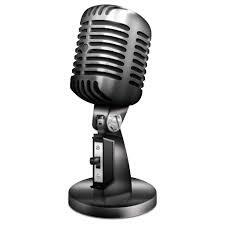 I am the author of Prozac: Panacea or Pandora? – Our Serotonin Nightmare and have testified in court cases involving antidepressants for 12 1/2 years. 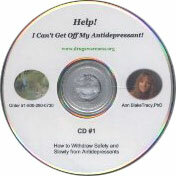 The last 15 years of my life have been devoted full time to researching and writing about SSRI antidepressants. 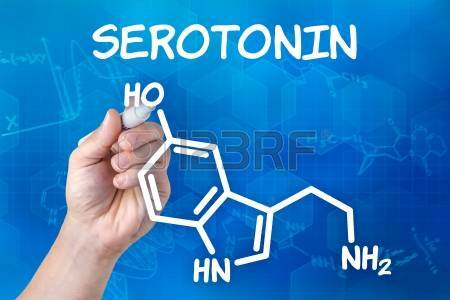 Research on serotonin has been clear from the very beginning that the most damaging thing that could be done to the serotonin system would be to impair one?s ability to metabolize serotonin. Yet that is exactly how SSRI antidepressants exert their effects. For decades research has shown that impairing serotonin metabolism will produce migraines, hot flashes, pains around the heart, difficulty breathing, a worsening of bronchial complaints, tension and anxiety which appear from out of nowhere, depression, suicide – especially very violent suicide, hostility, violent crime, arson, substance abuse, psychosis, mania, organic brain disease, autism, anorexia, reckless driving, Alzheimer’s, impulsive behavior with no concern for punishment, and argumentative behavior. How anyone ever thought it would be “therapeutic” to chemically induce these reactions is beyond me. Yet, these reactions are exactly what we have witnessed in our society over the past decade and a half as a result of the widespread use of these drugs. In fact we even have a whole new vocabulary as a result with terms such as “road rage,” “suicide by cop,” “murder/suicide,” “going postal,” “false memory syndrome,” “school shooting,” “bi-polar” – every third person you meet anymore – along with the skyrocketing rates of antidepressant-induced diabetes and hypoglycemia. Can you remember two decades ago when depressed people used to slip away quietly to kill themselves rather than killing everyone around them and then themselves as they do while taking SSRI antidepressants? A study out of the University of Southern California in 1996 looked at a group of mutant mice in an experiment that had gone terribly wrong. 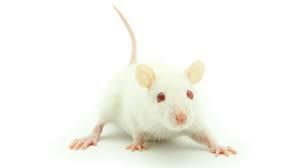 These genetically engineered mice were the most violent creatures they had ever witnessed. They were born lacking the MAO-A enzyme which metabolizes serotonin. As a result their brains were awash in serotonin. This excess serotonin is what the researchers determined was the cause for this extreme violence. Antidepressants produce the same end result as they inhibit the metabolism of serotonin. These are extremely dangerous drugs that should be banned as similar drugs have been banned in the past. As a society we once thought LSD and PCP to be miracle medications with large margins of safety in humans. We have never seen drugs so similar to LSD and PCP as these SSRI antidepressants. All of these drugs produce dreaming during periods of wakefulness. It is believed that the high serotonin levels over stimulate the brain stem leading to a lack of muscle paralysis during sleep thus allowing the patient to act out the dreams or nightmares they are having. The world witnessed that clearly in the Zoloft-induced murder-suicide of comedian Phil Hartman and his wife, Brynn. Out of the mouths of babes we will understand these nightmares for what they are. She understood that this was something her mother would do ONLY in a nightmare, never in reality. This is known as a REM Sleep Behavior Disorder. In the past it was known mainly as a drug withdrawal state, but the largest sleep facility in the country has reported that 86% of the cases they are diagnosing are patients on antidepressants. Because this was known in the past as a condition manifesting mainly in drug withdrawal you should see how dangerous the withdrawal state from these drugs will prove to be. That is why it is so critical to make sure patients are weaned EXTREMELY slowly so as to avoid ANY chance of going into a withdrawal state. WITHOUT ANTIDEPRESSANTS WOULD WE HAVE WORLD BIPOLAR DAY? Today is supposedly World Bipolar Day. I propose that minus antidepressants we would never have seen a World Bipolar Day because NOTHING has caused more cases of Bipolar than antidepressants. Initially when the SSRI antidepressants were introduced many psychiatrists refused to prescribe Prozac or drugs like it due to their strong potential of inducing a manic psychosis. Prozac or drugs which work on the same principle as Prozac — Zoloft, Luvox, Paxil, Celexa etc., are known as selective serotonin reuptake inhibitors (SSRIs) and are designed to inhibit the metabolism of serotonin, thereby increasing levels of this neurotransmitter in the brain and throughout the body. Yet what so few are aware of is that the psychedelic drugs (PCP also known as Angel Dust and LSD) actually mimic serotonin in order to produce hallucinations. So as the level of serotonin increases in the system no one should be surprised to learn that they begin to suffer hallucinations and psychosis. For example in the June 1999 edition of Clinical Psychiatry News, Dr. Malcolm Bowers, a psychiatrist at Yale had found that physicians are not paying enough attention to patient factors that could make treatment with SSRIs dangerous. He found that, “SSRI induced psychosis has accounted for eight percent of all hospital psychiatric admissions over a 14-month period…What is surprising is that this particular group of side effects is really underplayed.” That comes out to about a quarter of a million people in the late 90’s per year were being chemically induced into a Bipolar psychosis. 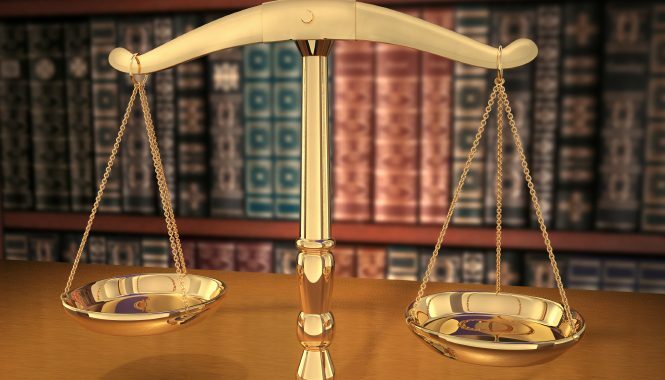 He then said that the large majority were being undetected as antidepressant-induced psychosis and were mistakingly continued on the offending medications, meaning the drugs were being allowed to continue to exacerbate the Bipolar condition. I recall a case I worked on in the mid 90’s where a patient sued Eli Lilly for causing his Bipolar which cost him his entire inheritance. Dr. Fred Goodwin, so well known for his large text written on Bipolar Disorder testified in his behalf that this was Prozac-induced and he won his case against them. But Dr. Bowers study was done close to two decades ago. 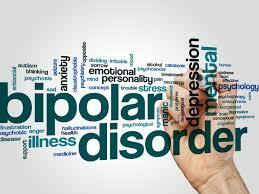 But with the extremely widespread use of these drugs since that time it seems everyone now knows someone who has a diagnosis of Bipolar when before the introduction of the first SSRI, Prozac most of us had never heard of someone who was Bipolar or Manic-Depressive as it was once called.